HAPPY NEW YEAR! 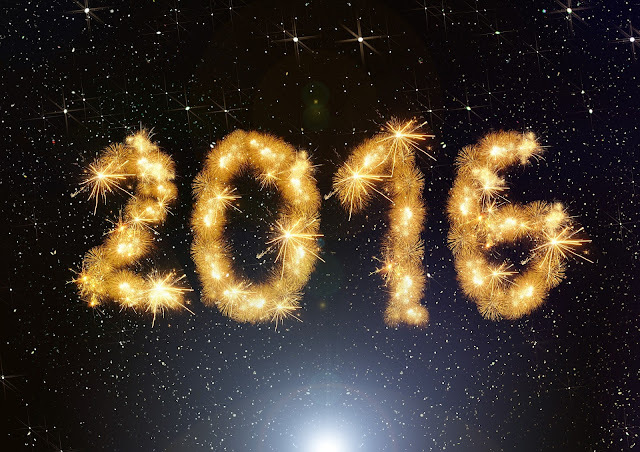 I hope 2016 is a fantastic one for all of you, and I wish you health, wealth and happiness for the coming year. One of the things about the new year that I like doing is focusing on the things I want to happen in the year. It helps me to look at what I am doing, and where I need to be. I am an organised person, and like to know things are under control so it helps me to feel better about my life and gives me a purpose. Life is much easier for me when I feel like I have a goal to work towards! double what I currently have in my savings account at the moment. This should help me and Dan finally feel we are in a good position to take the leap and buy our own house. I've been reading a couple of blog posts about buying a house recently and it's opened my eyes to how much saving we're going to have to do - I hadn't even thought about solicitors fees! work out a decent budget which will help with the saving. I want to be more focused on where my money is going so that I can save more efficiently. It will be a lot easier to save when I know exactly what I need for necessities, and what I am just wasting mindlessly at the moment. explore new places. One of my regrets from 2015 was that I didn't travel more, both in and out of the UK. There is just so much to see out there, and I love learning about the cultures, traditions and history of new places. It would be great if we could beat our record of 5 trips in a year, but as we are saving we will have to see if this is achievable! I'd like to be braver in my content on here. I want to post things I've previously been too scared to post - perhaps an outfit post, or a piece that digs a little deeper than I've ever been on Suitcase and Sandals before. I've always wanted to do some of these but have been too nervous,. Hopefully in 2016 I'll give it a good go! Over the course of the year, I'd like to reach 350 bloglovin followers, 1000 twitter followers and 500 instagram followers. I hope these are achievable but only time will tell! I'm especially enjoying instagram at the moment so to reach 500 followers would be great. Learn more about SEO. I started learning a little bit about this recently and wrote a post about how much I love learning. I love writing this blog, but would like to know a lot more about the professional side of things as such. As part of this goal, I'd like to up my DA as well, hopefully reaching a score of 20 this year. Do you have any goals for 2016? Please let me know in the comments, I love reading these posts! These are some fab goals hun! I definitely want to travel the UK more, I've actually been writing a list of all the places in the UK I'd love to visit so fingers crossed I'll get there! Amazing goals. I definitely agree. Saving and spending less has to be the number one for me.